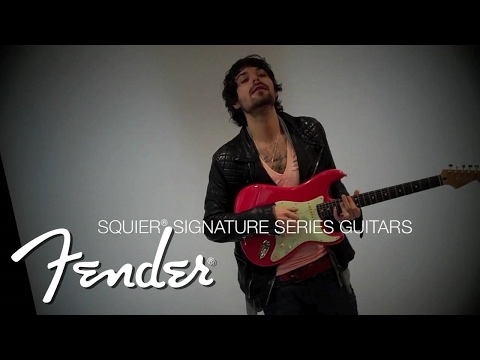 The Simon Neil Stratocaster® guitar puts Simon’s own personal touch on a Squier Classic Vibe series instrument. 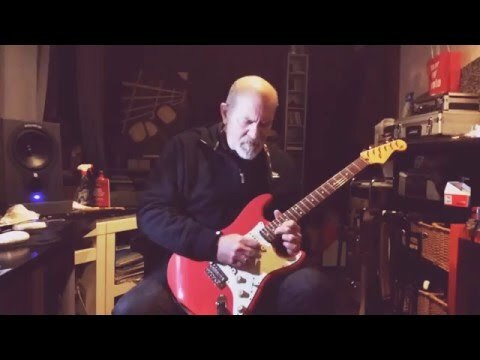 A great Strat...and not o.. The Simon Neil Stratocaster® guitar puts Simon’s own personal touch on a Squier Classic Vibe series instrument. A great Strat...and not only for Biffy Clyro fans! This is definitely one of the best Squier Stratocasters available today - full stop! Based on his Fender® Custom Shop Time Machine™ ‘60s Stratocaster® guitar, features include an alder body finished in Fiesta Red, vintage-tint gloss maple neck, Simon’s signature on the back of the headstock as well as the Biffy Clyro band logo on the front, 3-ply mint green pickguard, three custom vintage-style single-coil pickups utilizing a mix of alnico III & V magnets - perfect for rhythm parts and rich, clear leads - vintage-style tuning machines and tremolo, and aged plastic parts.